RUGBY WORLD’S December cover star Jonathan Davies had the illustrious honour of being the first ever player to take on our brand new Pump Up the Ball challenge, attempting to set a blistering pace for blowing up our ball with a reasonably priced pump and bouncing it. He also answered some quickfire questions about his team-mates. Did he impress and, perhaps more importantly for his team-mates, who did he rinse? 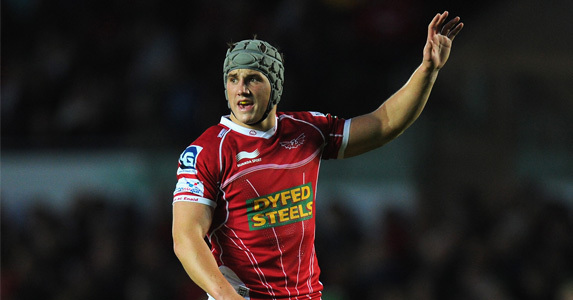 You can read all about Jonathan Davies and his new role as Wales’ midfield general in the December edition of Rugby World – in stores on Tuesday December 5!